Freight is not one of the typical ‘hidden’ costs and can generally be easily identified within a business. However, many companies do not send samples out regularly and are therefore subject to excessive transport prices. Hazardous overseas shipments can also be very expensive. 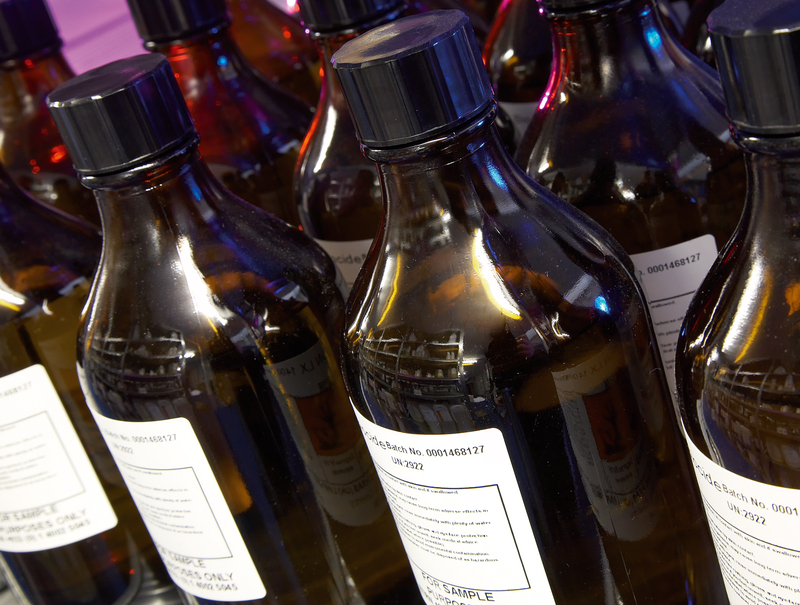 SampleRite sends out on average 60,000 sample bottles per year, and benefits greatly from volume-driven discounts, which are naturally passed on to clients. Sampling is not a core function for most chemical manufacturers and distributors. Therefore sourcing a range of sample packaging in terms of size, materials etc can be problematic and expensive. SampleRite stocks a wide range of packaging options to meet every possible need, ranging from 1g to 25L, and includes glass, plastic, steel and UN approved inner/outer packaging. As is the case with transport rates, SampleRite benefits from volume discounts on packaging, which enable us to pass on to clients. On average it takes approx 25 minutes to complete a non hazardous and 50 minutes for a hazardous sample, including decant, labeling and paperwork. Depending on the salary of the employee (s) involved and the number of samples dispatched, labour costs can quickly add up. For example, if an employee earning 17K is spending approx 8 hours per week decanting, labeling, packaging and doing the paperwork for samples, the cost per week would be £65.38,per month £261.52, per year £3399.76 (note these costs exclude pension contributions). It is also often the case where sampling is part of someone’s job, and as a result may detract for their core role within the organization e.g. Chemists, Warehouse staff. It is also likely that sampling will not get the priority it deserves as a result. Getting samples to customers quickly and before the competition is crucial in turning samples into orders. In-house sampling may not provide a fast enough service, resulting in the competition getting their sample in first, getting their product approved, closely followed by a bulk order. Lost sales could be a massive hidden cost to a business if sampling is not effective. Also, many companies do not have a reporting facility for sampling. This makes it difficult to follow up on samples and potentially losing out on sales as a result. Managing sample stocks effectively is crucial in minimizing waste. In-house sampling can often result in part containers which are redundant for sale, compromised product quality and products lying around which are past their shelf life and require disposal. SampleRite works closely with clients to ensure stocks are managed closely, taking into consideration the needs of the business (e.g. product launch/withdrawal etc), and therefore keeping waste and disposal costs to a minimum. Sample Requests can take time to process internally, and may be dealt with by already extremely busy admin staff. SampleRite offer an online ordering system, which can reduce time and costs involved in administration (e.g. sales reps could place orders direct, rather than asking internal admin staff to process). An automated email is sent when we have received the order, and when the order leaves SampleRite, eliminating the need for chasing an order internally, and saving time. Dedicated Account Managers will monitor the progress of the order and keep clients informed. CSV uploads are also an option for those clients with CRM system. Training costs could be avoided by outsourcing the sampling process, including IATA and ADR courses. Mistakes on chemical documentation, labeling or packaging, or mis-declaration can have serious knock on effects and result in hefty fines. Sample stocks and packaging can be transferred to SampleRite, which can free up additional warehouse and laboratory space for your core business. What effect could the hidden costs and inefficiencies of in-house sampling be having on your business?